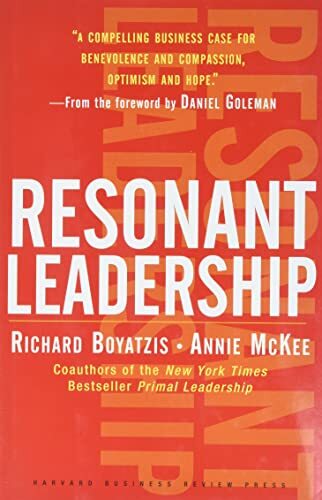 A hands-on framework and strategies for consciously creating and maintaining resonance in the face of the relentless challenges of the leadership role. Resonant Leadership is the follow – up to Primal Leadership, which has sold over 250,000 copies to date. Its message about the importance of resonance and emotionally intelligent readership struck a deep chord with readers all over the world. Resonant Leadership shows how leaders can recognise the cycles of stress, sacrifice and renewal inherent in their jobs—and actively utilise the qualities of mindfulness, hope and compassion to renew their passion and effectiveness. Richard Boyatzis is Professor in the Department of Organizational Behavior at the Weatherhead School of Management at Case Western Reserve. Annie McKee is Co-chair of the Teleos Leadership Institute and teaches at the University of Pennsylvania, Graduate School of Education.